Corridors like Palo Alto will see new development attempting to capture the increased daytime pedestrian and commuter traffic in addition to a tech takeover and high rents which causes stiff retail competition. Corridors like Union Square will continue to see a lock on leasing due to rising retail real estate prices and record-breaking tourist visits – making it a competitive buying landscape. Fillmore lures in luxury lite retailers as Hayes Valley attracts national and international retailers causing an imbalance – more demand than supply. Lastly, The Marina experiences a tug-o-war pulling national retailers in and unfortunately pushing locals out. The bright side of the bay is you won’t have to worry about if you can find anything, but more so if you have enough time to find everything. 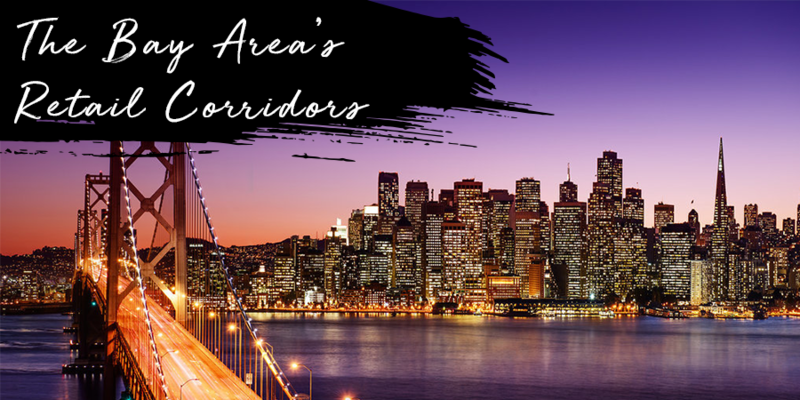 The Bay Area is seeing higher rents in some of the corridors, creating a challenge for property owners to maintain during economic contraction, but every corridor is experiencing a high demand for retail space. Don’t forget to download our Bay Area City Retail report to learn about its retail corridors and view its average asking prime retail rents, annual rent growth rates and average cap rate ranges.